The cross hairs ring is a BIG bold statement! It is a custom blended alloy of copper and silver. 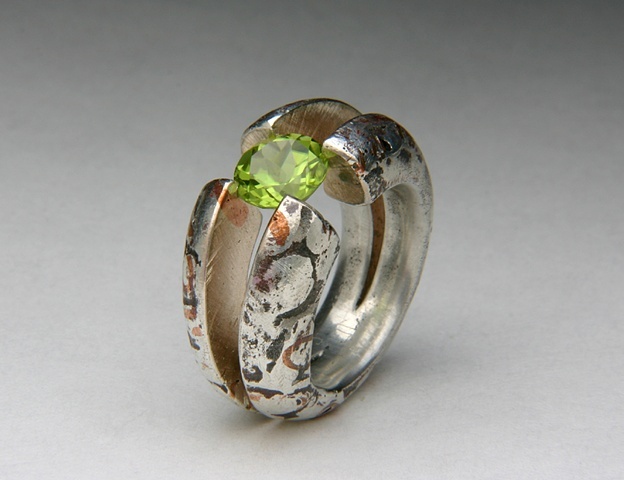 I hand saw this ring open in four directions to tension set the Peridot. This ring is a signed art piece cocktail ring not ment for everyday wear. I do make a SMALLER version that is fit for daily wear. Please contact me with questions.